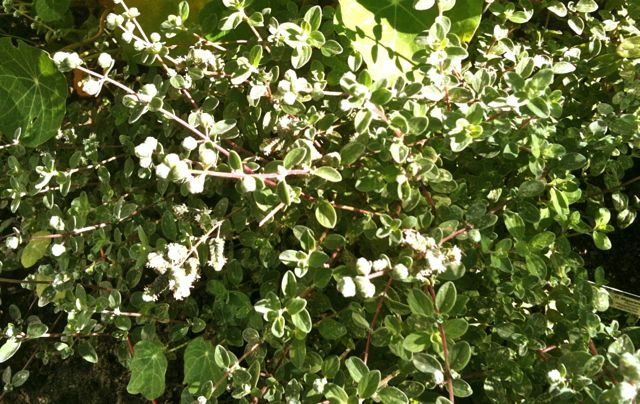 Easy to grow, great for a small garden and wonderfully versatile for cooking, thyme is a fantastic herb to grow and eat. It’s a hardy plant, so another brilliant herb for perking up your winter cooking. 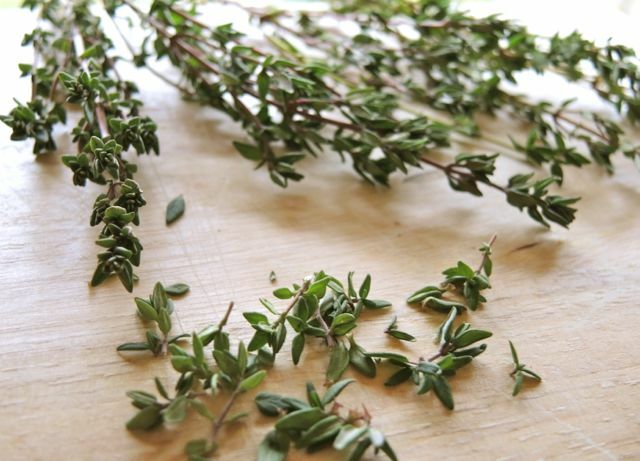 As well as an essential ingredient in a classic French bouquet garni, thyme is also one of the key ingredients in the delicious spice blend za’atar. Like many herbs, it also has historical and renowned health properties, used to help alleviate colds and coughs, and as an antibacterial – so use it generously. Here’s some of my favourite ways of using thyme. 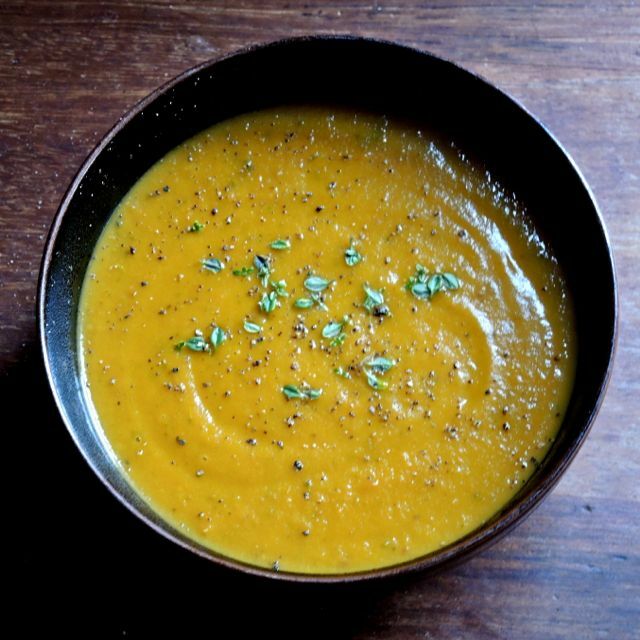 Thyme for freshness, ginger for zing and carrots for earthy sweetness – perfect soup combination! Za’atar is a delicious, Middle Eastern spice blend – and one that’s very easy to make. Great to sprinkle on flatbreads, as a salad dressing seasoning and really good with chicken. Thyme and lemon roast chicken. Stuff a whole, free-range, medium-sized (1.5kg) chicken with a quartered lemon and half a dozen sprigs of fresh thyme. Place in a roasting dish, sprinkle some crushed sea salt over the top and pour cold water around the chicken to a depth of an inch. ( I heartily recommend this method of roasting chicken that my partner introduced me to. It gives you a wonderfully, succulent, tender chicken, but with a great crispy skin. Much better than roasting in oil or fat). Roast at 180C for about 1hour 40mins, or until the chicken is fully cooked. The juices around the chicken make a great basis for a lemony gravy. 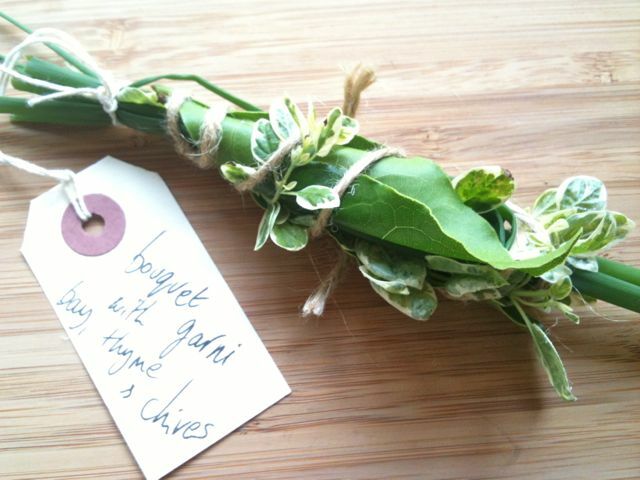 A classic bouquet garni is very simple to make – a couple of sprigs of thyme, a bay leaf, a few chives and a stalk or two of parsley, tied together or placed in a muslin bag. Great for seasoning stews and soups, and you can experiment with lots of other ingredients too – try adding a stalk of lemongrass, or a sprig of rosemary for a bold flavour. And finally, thinking ahead to summer, pick thyme whilst its flowering, and use the (edible) flowers to flavour and decorate cakes and puddings – glamorous and flavourful. Posted on February 22, 2015 by Sarah at Seasoning Works. This entry was posted in herbs, recipes, seasoning and tagged bouquet garni, chicken, soup, thyme, za'atar. Bookmark the permalink.